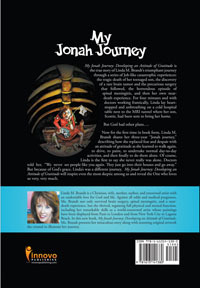 My Jonah Journey: Developing an Attitude of Gratitude is the true story of Linda M. Brandt's triumphant journey through a series of Job-like catastrophic experiences: the tragic death of her teenaged son, the discovery of a rare brain tumor and the precarious surgery that followed, the horrendous episode of spinal meningitis, and then her own near-death experience. For four minutes and with doctors working frantically, Linda lay heart-stopped and unbreathing on a cold hospital table next to the MRI tunnel where her son, Scottie, had been sent to bring her home. 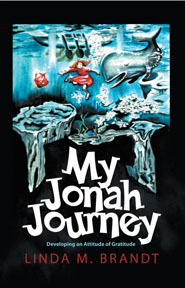 Now for the first time in book form, Linda M. Brandt shares her three-year "Jonah journey," describing how she replaced fear and despair with an attitude of gratitude as she learned to walk again, to drive, to paint, to undertake normal day-to-day activities, and then finally to do them alone. Of course, Linda is the first to say she never really was alone. Doctors told her, "We never see people like you again. They just go into their houses and go away." But because of God's grace, Linda's was a different journey. My Jonah Journey: Developing an Attitude of Gratitude will inspire even the most skeptic among us and reveal the One who loves us very, very much. 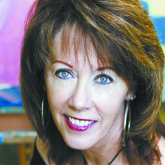 Linda M. Brandt is a Christian, wife, mother, author, and renowned artist with an undeniable love for God and life. Against all odds and medical prognoses, Ms. Brandt not only survived brain surgery, spinal meningitis, and a near-death experience, but she thrived, regaining full physical and mental function, including her remarkable skills as a world-renowned artist whose paintings have been displayed from Paris to London and from New York City to Laguna Beach. In this new book, My Jonah Journey: Developing an Attitude of Gratitude, Ms. Brandt presents her miraculous story along with stunning original artwork she created to illustrate her journey.